Chest harness for your quick-release HERO camera. Makes it easy to capture immersive video and photo footage from, well...your chest. Perfect for skiing, mountain biking, motocross, paddle sports, or any activity where you want to get a "lower than the helmet" view of the action. 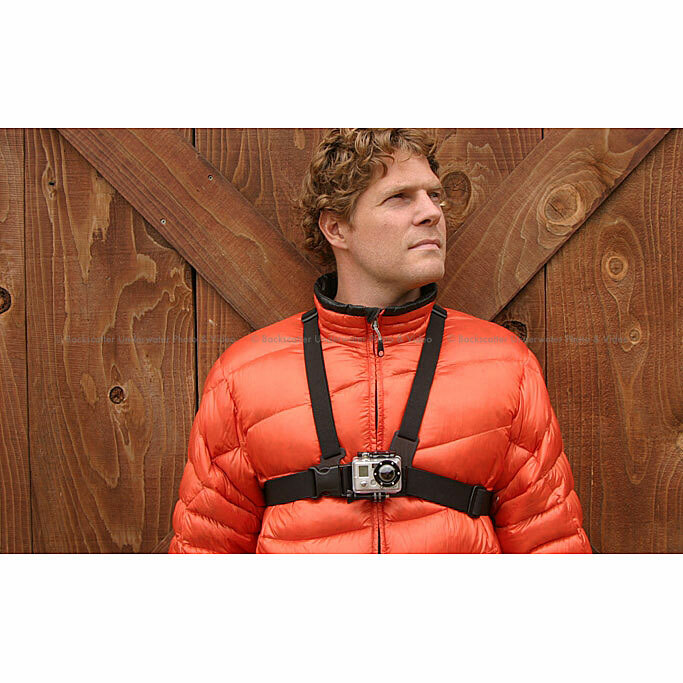 Chest harness for your quick-release HERO camera. Makes it easy to capture immersive video and photo footage from, well...your chest. Perfect for skiing, mountain biking, motocross, paddle sports, or any activity where you want to get a lower than the helmet view of the action. See more of your arms, knees poles, and skis while skiing...or your arms and handlebars while biking or riding your motorcycle. Recommended as a more immersive way to film than on the helmet. One size fits all adjustability. Compatible with all GoPro quick-release cameras including the Helmet HERO Wide, Motorsports HERO Wide, Motorsports HERO, Surf HERO, and WIDE HERO cameras. Not compatible with the Digital HERO 5 Wrist Camera.